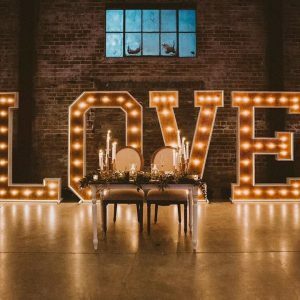 When it comes to a backdrop for your wedding ceremony or party it will be a major focal point and will be used for many of the photographs that are taken during the day. 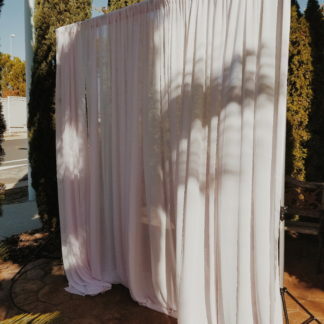 The backdrop you use will play a major role in the atmosphere of the wedding. There are a number of choices that you’ll have to consider and they can include using extraordinary views, special designs, or other innovative options. 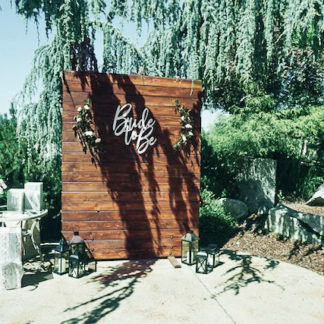 Here we’ll take a look at choosing a backdrop for your wedding. Wooden, staged, paper flower or textured backdrops are very efficient and look great in pictures! They provide a solid surface that becomes your canvas to add lettering, flowers and other decor as needed. They’re also not flashy where they’re taking away from the subject matter that’s in front of the backdrop…you! 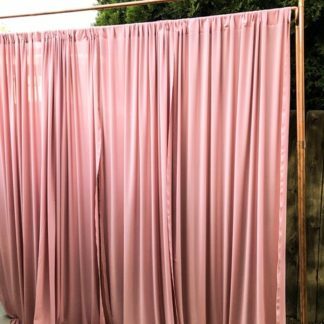 You should be able to rent many of these kinds of backdrops on Love Of Parties or make one yourself and rent it out to others. You can never go wrong with a classic. Finding a location with fantastic architecture can be a wonderful choice as a backdrop. When you have the perfect architecture for the background you want to minimize the floral elements and other things you might think of using. Let the main focal point be the architecture. When done correctly this can be an alluring backdrop that really creates the overall ambiance. When a wedding is going to be held outdoors there are many opportunities to use nature as the backdrop. Often this gives the opportunity to have settings that are striking and will really create a unique and fabulous atmosphere. One of the most popular natural settings is to have beautiful greenery and wooded areas in the background. This gives a natural floral and earthly effect that can go well with any wedding. 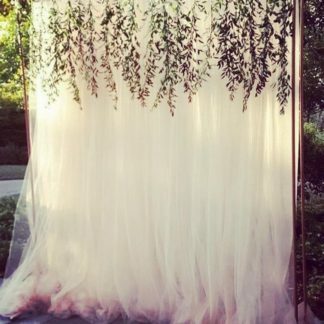 Being creative and having backdrops that are unique is a great way to make your event special. Your wedding is something that will hopefully take place only once in a lifetime and you really want it to stand out. One of the great ways to do that is by designing a spectacular altar. Using unique shapes and decorations will immediately catch the audience’s eyes. Rather than having something more refined it will add pizzazz without taking away from the event. Most of us have heard the idea to go big or go home. When it comes to a wedding event, sometimes the right choice is to go opulent. Arranging to have top quality crystal that sparkles will stand out and serve for a truly opulent background. Rent a large themed backdrop that makes you feel like royalty. Add chandeliers, throne chairs and other elegant backdrop elements to make it just like how you like it! Those who are involved in preparing the wedding event may be at a loss as to how they can really make their backdrop spectacular. If you are outdoors or in, sometimes the right choice is to oversize everything and make it bigger. 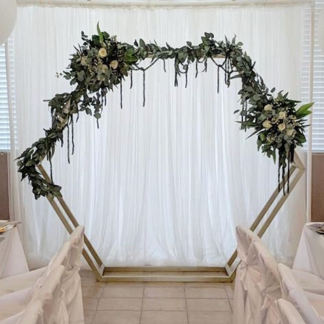 Creating a huge arch for the altar and having other decor that is well oversized can have a spectacular impact on how it changes the atmosphere and ambiance. When everything is bigger it just somehow feels more special. Celebrations and flowers go hand-in-hand. Why not make a beautiful wall of flowers as your backdrop? 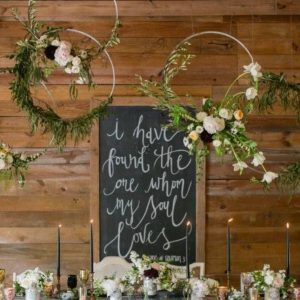 Rather than having a traditional type of altar, you can use a wall that is covered in greenery and flowers and you might even consider oversizing it as we spoke about above. Just try imagining how spectacular a wall of beautiful and exquisite flowers would look. It is likely something that all your attendees have not seen before. It will be beautiful and a great look for your special day. Want to have something that lasts longer and doesn’t break the bank? 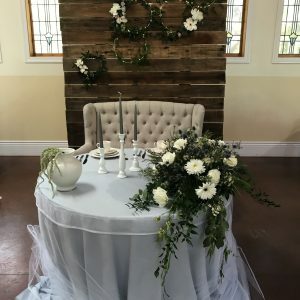 Consider renting a backdrop with paper flowers! If you’re wanting to use paper to create your backdrop then you need to recognize that it will likely take quite a lot of it. It will also take some serious design work and effort on either yours or someone who is doing it for you. Speak to your local shop to see how they can help with this. You will certainly want to use flowers as a part of creating your atmosphere and these also will not be among the cheapest cost for your event. Even so, flowers are definitely a natural and normal part of a wedding. 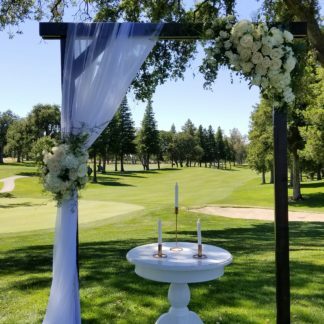 Using them strategically and really getting great quality flowers will go a long ways to creating a beautiful atmosphere for your special day. It will be important that you arrange the flowers you need with your florist. They often can help advise you on coming up with creative ideas. You will also likely want to use other types of party supplies for your wedding. Some of these might include lanterns, streamers, and depending on how formal or informal your wedding is, you may want to use balloons. Where you get some of these supplies will depend on the look you’re wanting to achieve. Ordinary balloons can be purchased from any dollar store but if you want something that is a bit more special you’re likely to have to search for them in specialty stores. 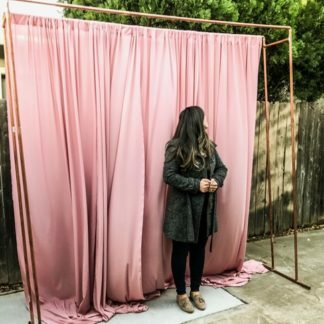 Researching Backdrop Rentals is a great way to save yourself the stress of DIY on an already stressful day. 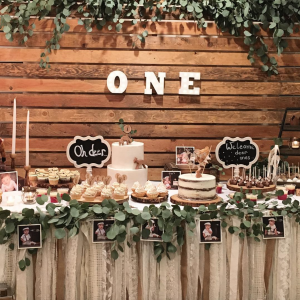 Combining arches, solid wood backdrops, drapes, flowers and other decor elements can give you a stunning party backdrop that will look great in your pictures and videos and inspire others! If you find a floral arrangement that requires a huge amount of flowers and their arrangement will be expensive and difficult to create then you have to decide if it’s something you can do or if it’s something you can pay someone else to do or if it’s just better to do something simpler. It might well be a wonderful idea but it still needs to be within your personal limits. 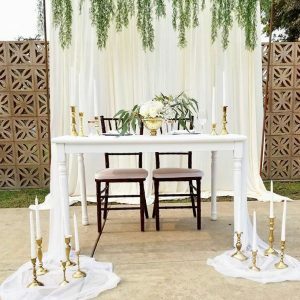 The wedding itself is the most important factor and while these other things are important, you will want to make sure that you are not taking on more than you can. If you are choosing to use massive flower arrangements or other complicated decoration then you might want to arrange to have a professional do that for you. If you do it and it’s not done correctly then you lost any money that you invested plus you have the frustration of not having what you wanted. There’s also the stress involved in trying to do something that is really beyond you. In that type of situation, you really do want to consider using a professional. Often it’s a great idea to get a wedding planner to help if you can.